Young entomologists will treasure these anatomically detailed insects and arachnids. Our Big Bunch-O Bugs includes 18 giant-sized beetles, flies, caterpillars, spiders, ants and more! 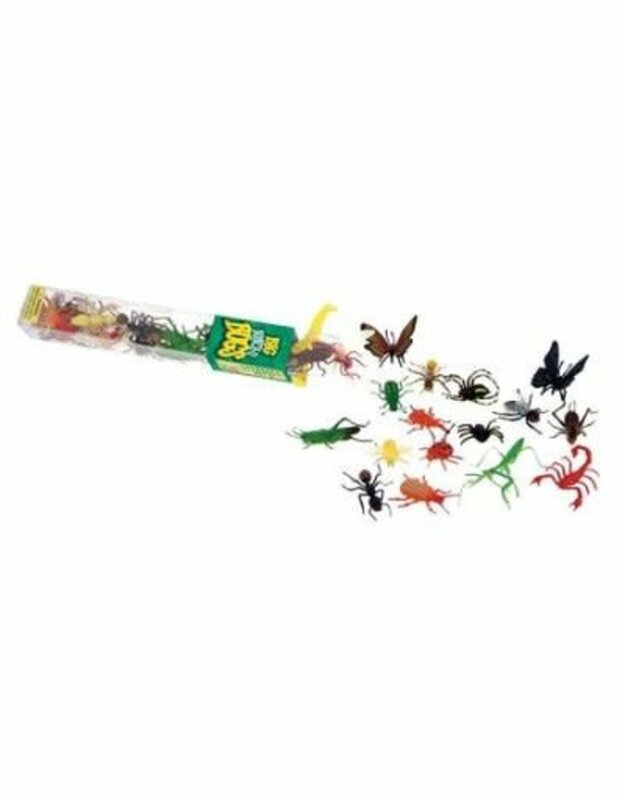 These colorfully detailed bugs are made of sturdy, flexible plastic and are a great teaching tool. So realistic, you won’t want to leave these creepy crawlies in unexpected places! Luckily, this Big Bunch-O Bugs comes in a resealable tube that doubles as a storage container. It even comes with a handy tote strap for busy kids on the go!